IN A FINE BLUE DENIM DESIGN. HAS A BACK LENGTH OF 32. 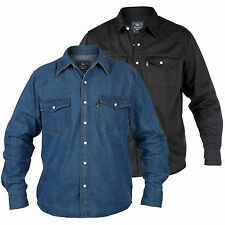 Mens Levi's Cone Denim Stretch Shirt XXL Dark Blue. Hardly worn and in pristine condition. 26" pit to pit. Sorry no returns and payment is PayPal only (no echeques) Payment to be made within 24 hours. UK bidders only. If you can't make payment within 24 hours then please do not bid. If you have any questions about the item then please message me. I am regularly putting new clothing on so please save me as a favorite seller and check out my other items for sale. IN A BLUE DENIM WITH HALF PATTERNED SLEEVES. IN A GREAT DENIM BLUE WITH A FINE WHITE AND PURPLE PINSTRIPE. SLEEVE LENGTH [ 26” ] COLLAR TO SHIRT TAIL [ 33” ]. PATTERN & COLOURS = FLORAL IN OFF WHITE AND GREY. COLLAR SIZE [ 19” ] PIT TO PIT [ 26” ] SUGGESTED CHEST SIZE [ 46”/48” ]. HERE ARE A FEW EXTRA DETAILS ABOUT THE SHIRT YOU ARE VIEWING. Mens Next Grey Stripe Long Sleeve shirt XXL. Condition is Used. Dispatched with Royal Mail 2nd Class. IN A SUPER BLACK DENIM. Black Cotton Denim. 100% Cotton. Arm length. Armpit to armpit front. Button fasters, two pockets on front. IN A SUPER WHITE DENIM. 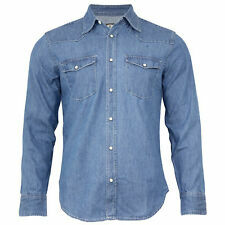 Replay Mens Denim Shirt Size XXL. Condition is Used. Dispatched with Royal Mail 1st Class. 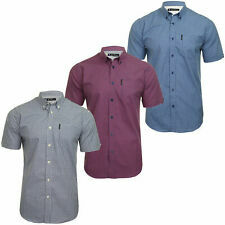 Ralph Lauren men’s long sleeve light denim blue oxford smart casual shirt. good condition. Some wear to the cuffs. Size xl/xxl Pit to pit-69cm Shoulder to hem- 79cm Sleeve length- 62cm Please ask any questions I’ll be more than happy to respond and please check out my other items. 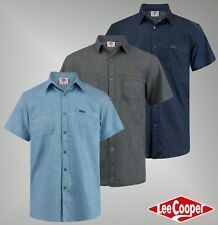 Mens Short Sleeve Denim ‘73 Shirt 2XL. Good Condition. Selling due to weight loss. Please check out my other items. 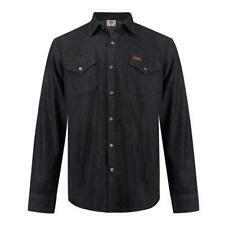 Mens Denim Look Shirt By The Original Denim Co Size XXL. Condition is Used but only been worn once. It has shoulder lapels and long sleeves. Dispatched with Royal Mail 2nd Class Signed for. 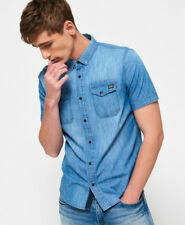 Blue Inc. Long Sleeved Shirt, Denim Style, Blue XXL Mens. Dispatched with eBay delivery – Shutl 1 day. 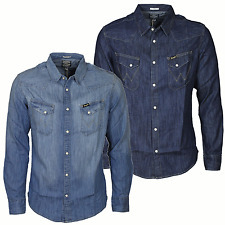 Mens Padded denim Shirt xXL. Condition is Used. Dispatched with Royal Mail Signed For® 2nd Class. Slight fading to edges / seams as is usual with denim. A gorgeous quality shirt. Pit to pit = 24". Freshly laundered. In really good condition. Small leather patch hook on the back with Dr Martens logo. Stylish dark navy blue denim. This fabric has small slubs going through - this is a part of design. Shoulder to shoulder 52cm. Apologies for any inconvenience.